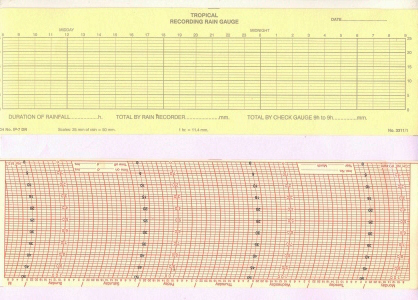 PAWAN manufactures high quality circular and strip type recording charts are used for recording variations in different parameters such as rain, humidity, pressure etc. over a period of time in conjunction with various instruments. Recording Charts are available in daily / weekly types. 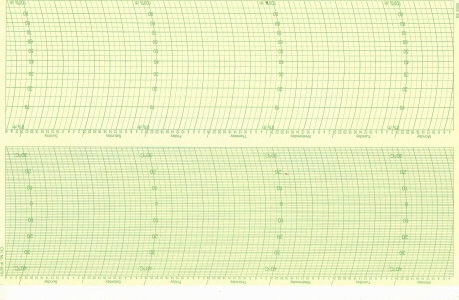 Daily Recording Charts: Rain Gauge, Pressure Tube Anemometer, Thermograph, Hygrograph, Thermohygrograph etc. 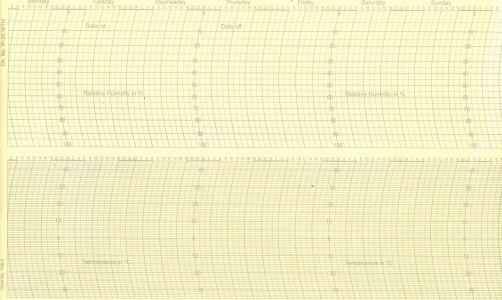 Weekly Recording Charts: Barograph charts, Thermohygrograph charts etc. In addition to our own range of recording charts for various instruments, we can also provide recording charts printed with customer specific logos as well as any other special markings or serial numbers. We also are able to replicate customer specific designs for recording charts as well as any other type which may be out of print or circulation. A hard copy of the chart is requested along with desired quantity. 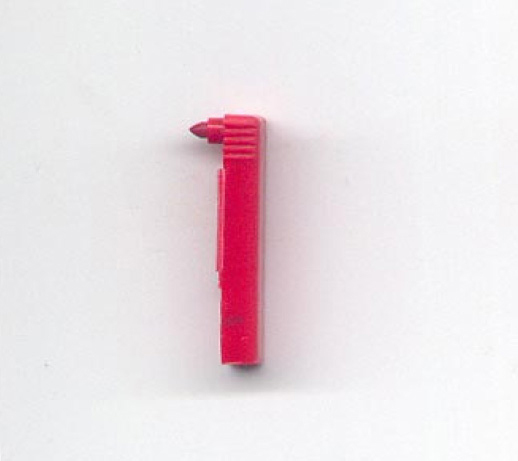 We also provide Felt Pen Tips and Liquid Recording Inks used with these charts. Available in Red, Blue, Black and Green colour.